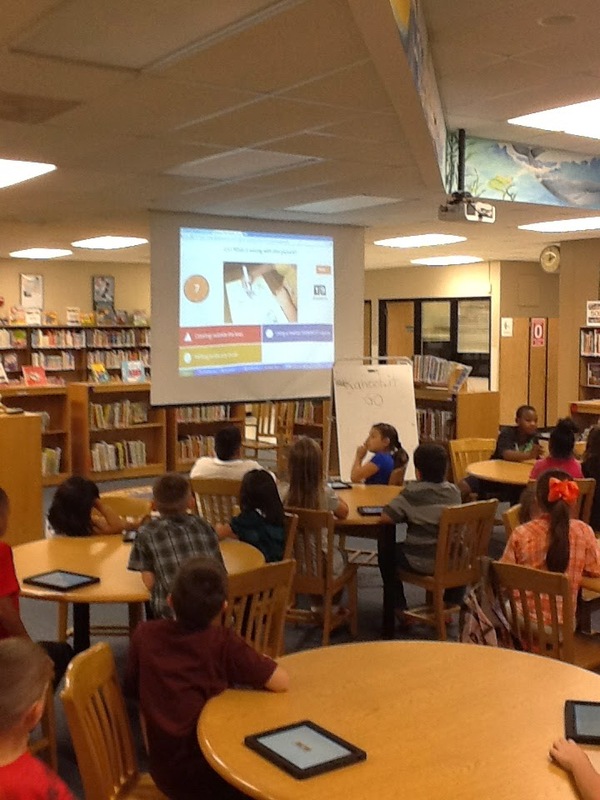 I changed up my 3rd grade orientation a bit this year after learning about an interactive website called Kahoot. But let me back up a bit... a learned about Kahoot last year, but never tried it out. I thought my teachers would love it, but needed a good way to introduce it to them. So before we left for summer vacay, I asked them for a fun fact that people might not know about them. When we came back for our week of inservice, we played. 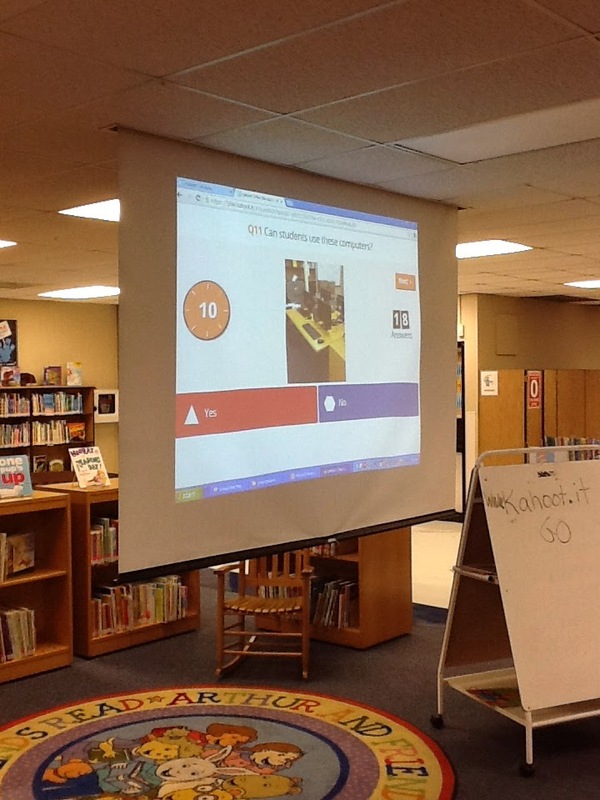 Kahoot is a classroom response system for learning in a game based atmosphere. Create a free account and then let your gaming begin. You type in questions(and/or upload a picture) and then multiple choice answers. You can choose the number of seconds plays have to respond to the question and whether or not they get points for the correct answer and the speed of their answer. Once it is saved you are ready to play. Launch the game and project it on a screen. 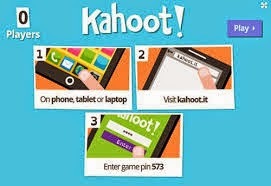 Players go to www.kahoot.it to login in on a computer, mobile device, iPad etc. They type in the game pin assigned to the game that is projected on the screen and then enter a nickname. When the game starts, the question is posted for a few seconds and the answers are revealed with a color and shape assigned to them. The same colors and shapes appear on the players devices. Players choose the matching one to enter their answer and after the timer goes off, the answer is revealed. Ok so back to how I used it. On the Friday of our inservice week, teachers brought a device to one of our meetings, I launched the game and they had a blast learning interesting things about each other. Like our principal could do back flips on a balance beam in high school and one of our third grade teachers was an ordained minister. Fun times, and they all were talking about how they could go back and use it in their classrooms. For my orientation with 3rd grade, I put a question and a picture about the library. The kids worked in pairs to answer the question within 30 sec and then I was able to elaborate a little more on the rule, program or area of the library. Based on the amount of cheering and high-fiving between the questions, I would say this was a success. How do you present library orientation to your students? I love this idea! I was just curious as to how many questions you asked and what types of photos did you include? I did 20 questions and asked things like "what kind of books are nonfiction books?" and showed a picture of my nonfiction section in the library or "what do you use a shelf marker for?" with a picture of the place where I keep them. Mostly the questions were related to procedures, area of my library or types of books. I would expand on the answer after it was revealed if I needed to clarify or explain something.